LONDON - Miguel-Angel Furones, Leo Burnett's former worldwide chief creative officer, has been named as the head of Publicis' operation in Spain. His hiring renews his association with Richard Pinder, the Publicis Worldwide chief operating officer and former EMEA president at Leo Burnett. As chairman of Publicis Spain, Furones' remit will include Publicis Espana, Publicis Modem and Dialog in Madrid, and Publicis CPG in Barcelona. His brief is to create greater synergy between the units and to encourage clients to work across all communications disciplines. 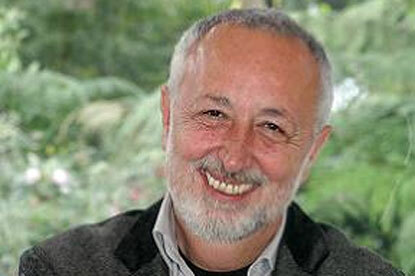 Furones is currently the chairman of Ignition K, part of the Leo Burnett group in Spain. He was previously chairman of Vitruvio Leo Burnett in Madrid, having sold his own agency, Vitruvio, to Burnett in the 90s. Pinder said: "Miguel-Angel is a creative powerhouse with a passion and energy for brands and business that is contagious." Furones said: "I know Richard wants us to drive creative quality, digital knowledge and local new business with a team that works well together." Jose Manuel Pardo will be stepping down from his role as executive chairman of Publicis Espana at the end of the year ands switching to a consultancy role at the company.